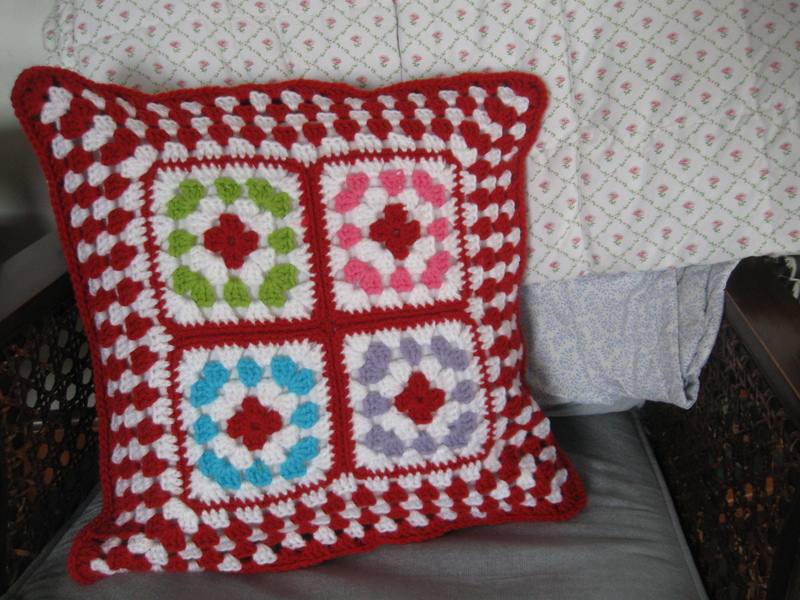 Crochet Granny Pillow Cover – FINISHED! 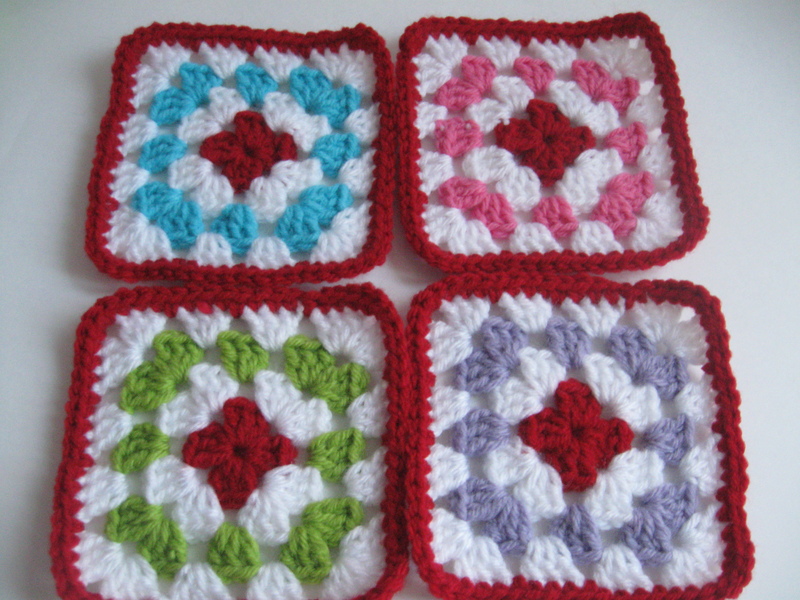 It started with a square – which became FOUR! Then the four became one. So now what do I do? 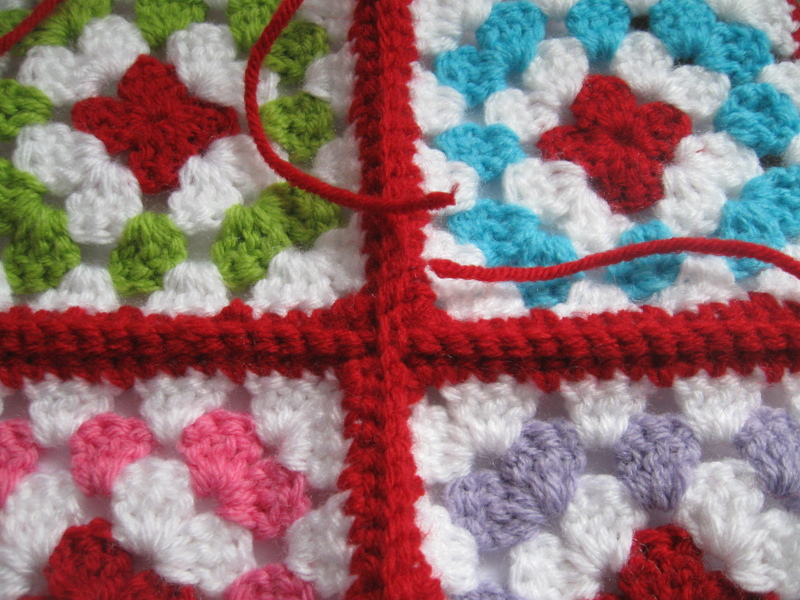 Make a pillow! I started with the back, thinking it would be a 12 inch pillow. Boy was I wrong! I overchained, (i did a chain 60 1 chturn, SC across for 59 ) not taking into consideration the stretchability factor. My 12 inch pillow turned into a 16 x 16 inch pillow. I am fairly happy with the results. I know where I made my mistakes and need to focus more on correct sizing. I also liked playing with the colors. I usually stick to single colors or working all in neutrals. 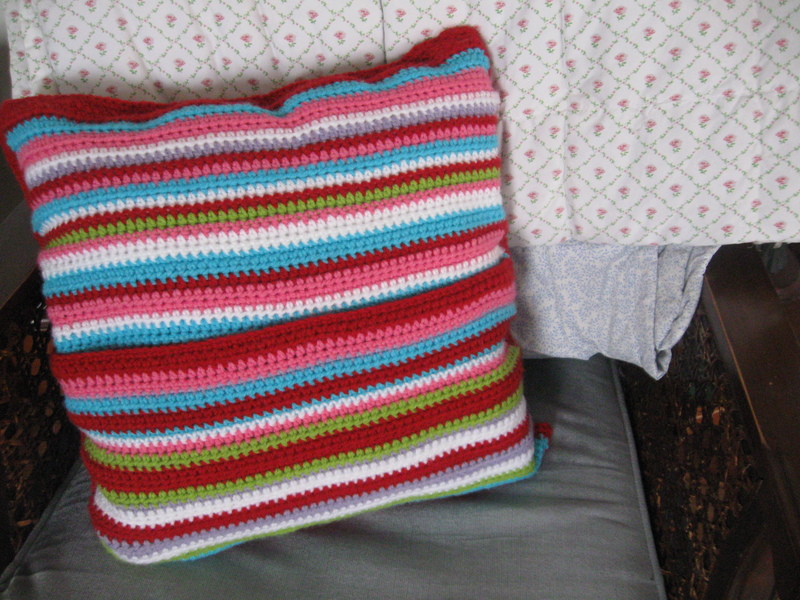 Have you ever covered a pillow in knit or crochet? How did it turn out? What things did you learn from it?